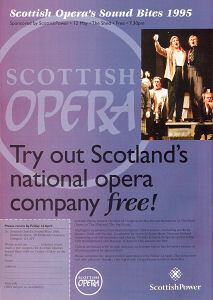 This is a page full of snippets of media we have come across along with some of our own behind the scenes images. 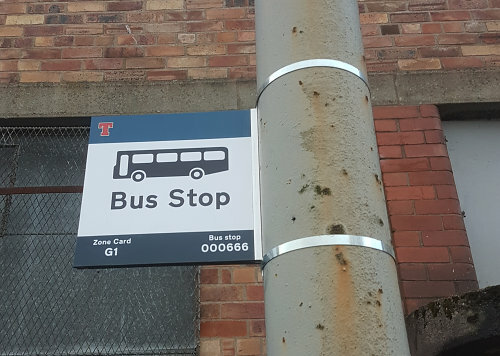 Not everything ever done in the Govan Shed (by a long shot), but hopefully this selection of clips and images gives a good feel for what can be done in the building. 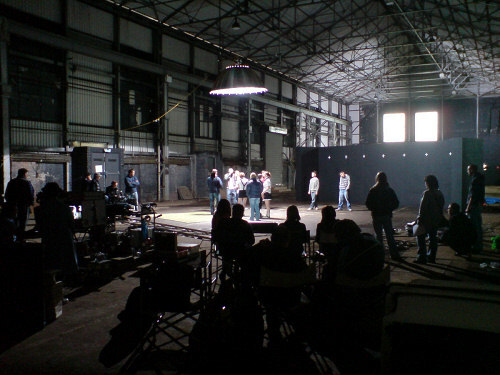 The Govan Shed hosted the shoot of this music video. 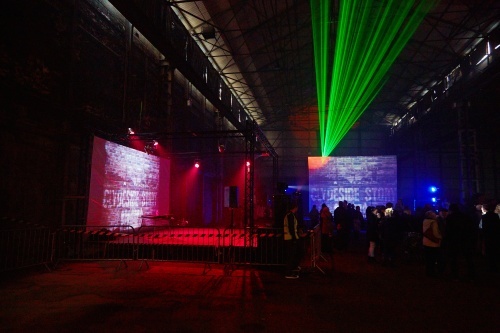 The team used the space for a mixture of projection based images and as a background for the main performance shots. 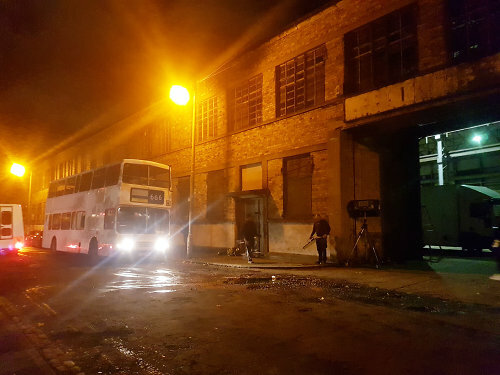 Tennent's Halloween Viral Video "The Night Bus"
The Govan Shed provided a space for filming the internal shots on the bus in the viral video. 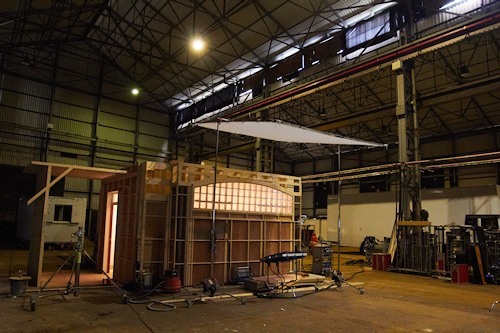 The large roller shutter door on the Govan Shed meant that the crew were able to get the vehicle indoors and utilise the dark space to make creating stylised lighting effects around the bus very practical with smaller and lower power lighting equipment. 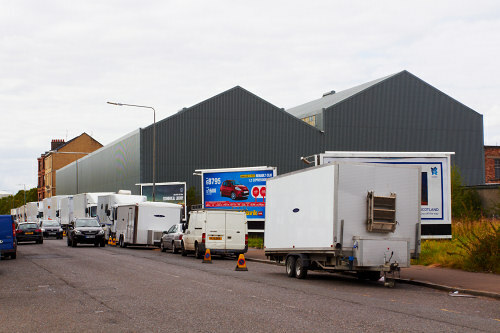 The exterior of the Govan Shed also served as a useful location for the exterior scenes at the start. 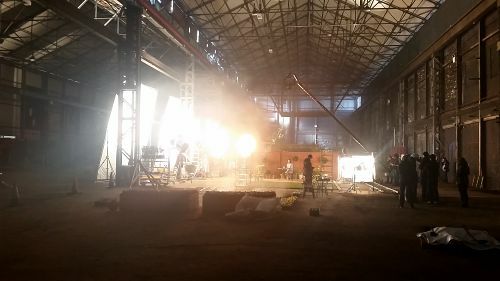 The video received over 1.7 million views in the first four days after going online, with over 18,000 shares in the same time. 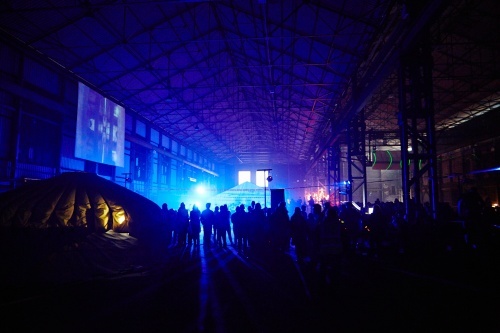 While not officially an events venue as such, the Govan Shed has provided a stunning location for popup cinema events. 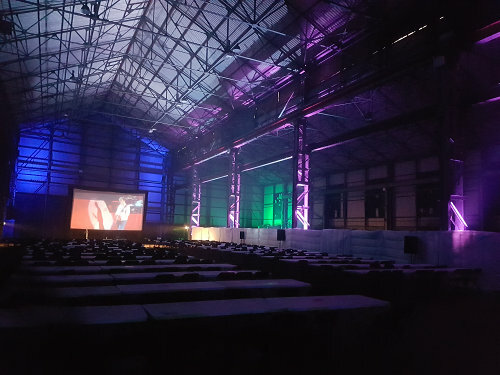 Easily hosting between 200 and 350 people per showing in a quarter of the space, the Govan Shed offers lots of flexibility for additional entertainment areas, bar areas and food areas alongside the main film showing. 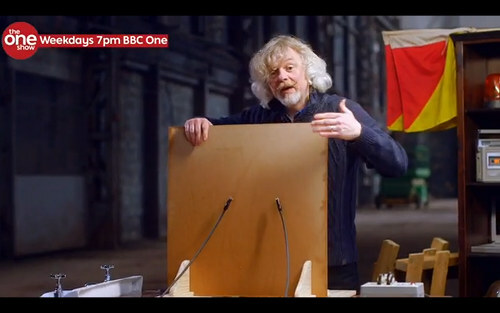 The Govan Shed provided the backdrop for a fascinating science section on the BBC One Show investigating Lichtenberg Patterns. 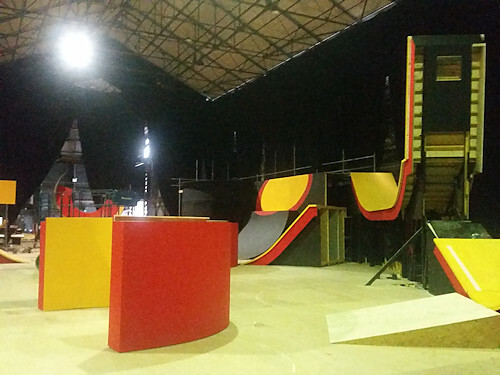 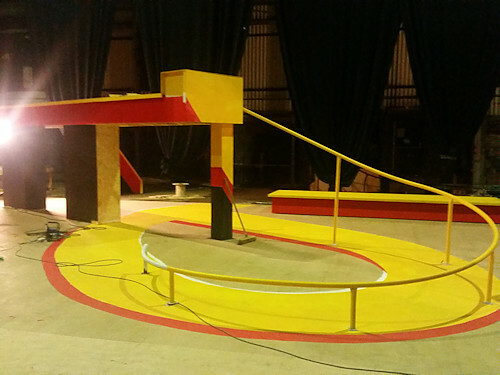 The Govan Shed offered the height required to create an impressive set for this Red Bull BMX project. 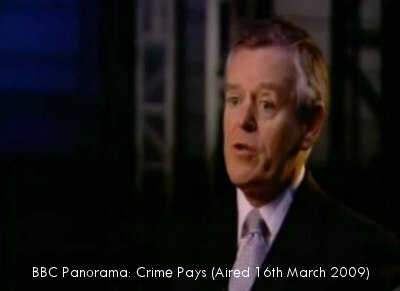 BBC Horizon - Are Video Games Really That Bad? 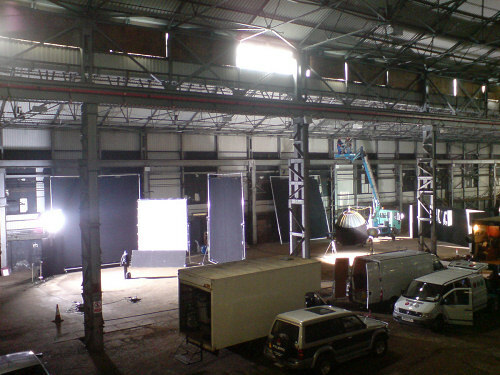 The Shed provided an interesting industrial backdrop for this BBC Horizon episode, with vfx graphics digitally projected onto the building in post. 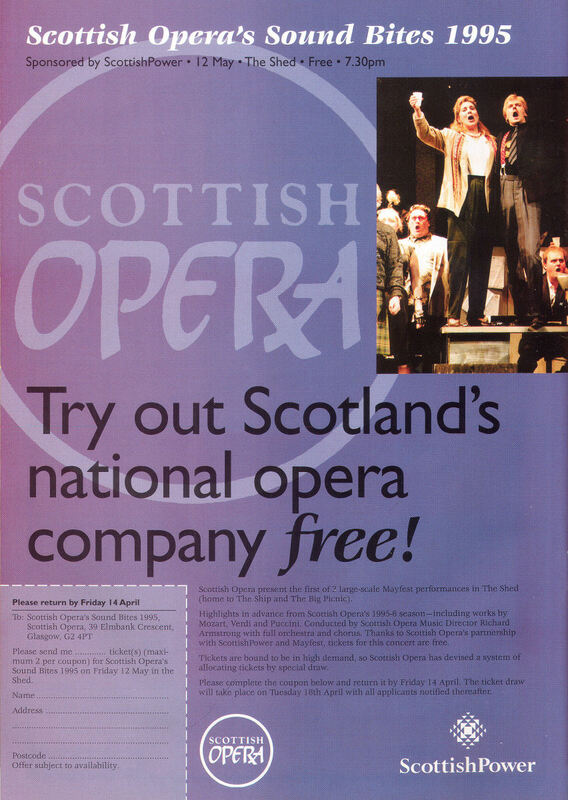 The Govan Shed offered the height required to film downwards on the garden sets for this advert! 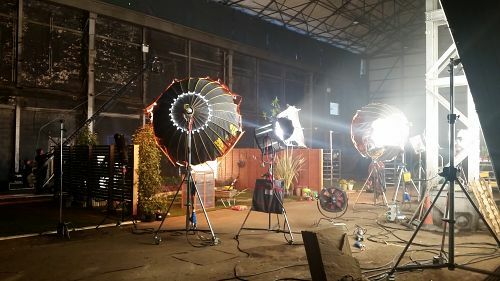 The advert looked brilliant with this unusual viewpoint. 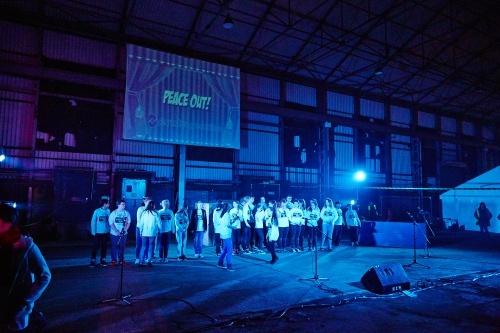 Fantastic evening of performances by local young people. 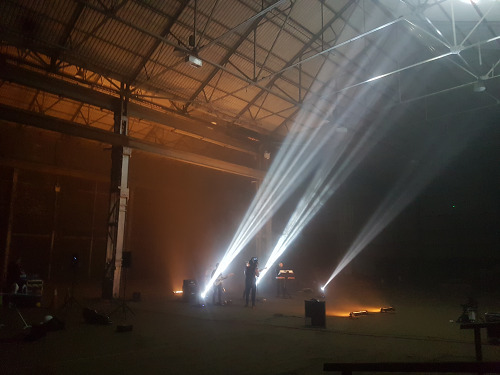 A mixture of dance, parkour and vocals. 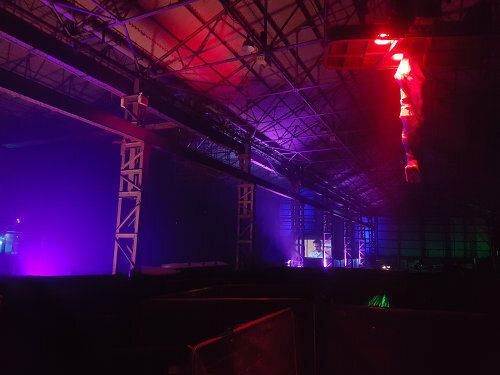 The lighting was truly spectacular and really showed The Shed at its best! 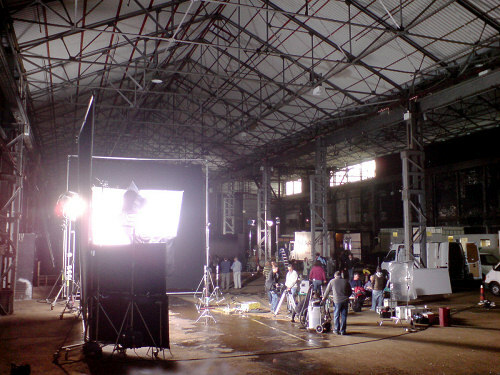 Travis filmed their music video "Where You Stand" in The Shed, using the distinctive architecture of the interior as a background for the footage. 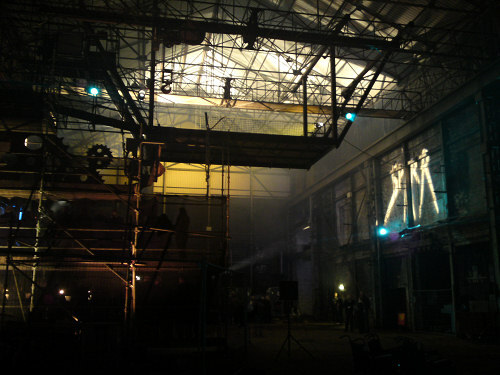 Some terrific music sessions filmed by Bands In Transit in The Shed at the end of 2011. 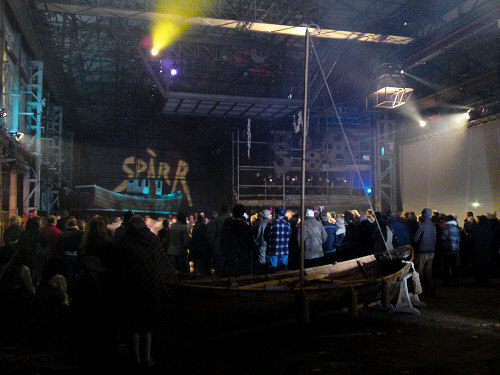 Performers in The Shed included Emma Pollock, French Wives, RM Hubbert and Errors, all of who were brilliant! 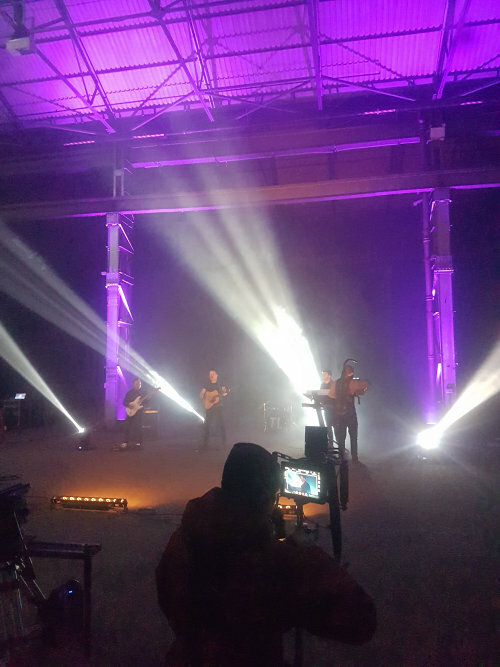 New music video for Any Color Black was filmed by Breaking Point Flix. 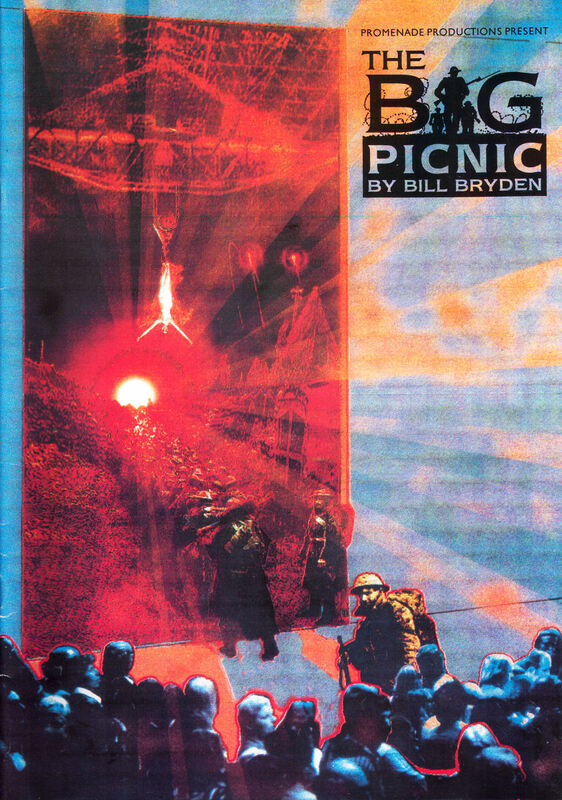 A film based on the novel by Max Brooks, directed by Marc Forster and starring Brad Pitt, Bryan Cranston, Matthew Fox and Mireille Enos. 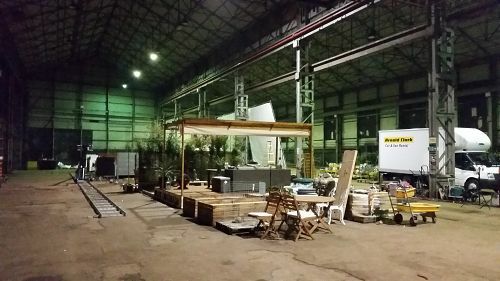 The Shed played a mixed role of build space for two sets and storage for a variety of the filming needs, including props and vehicles. 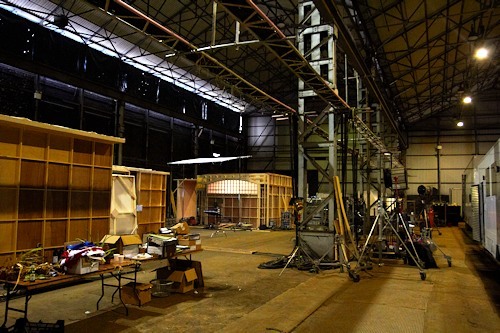 The Shed was used as the location for the opening scenes of each programme in the series. 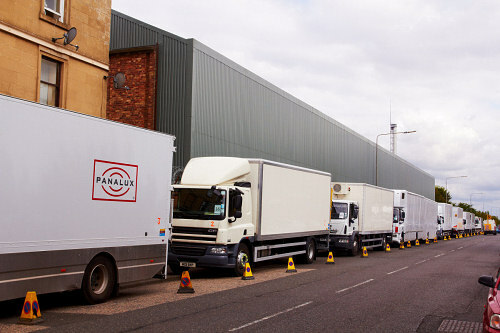 The large vehicle entrance is shown lifting for the team to drive out onto the distinctive industrial look of Clydebrae Street. 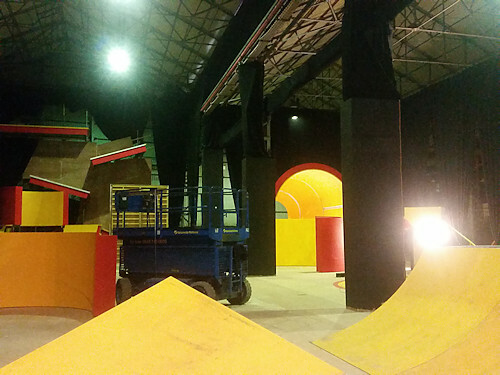 The BBC used The Shed as part of filming their excellent "Men of Rock" three part series. 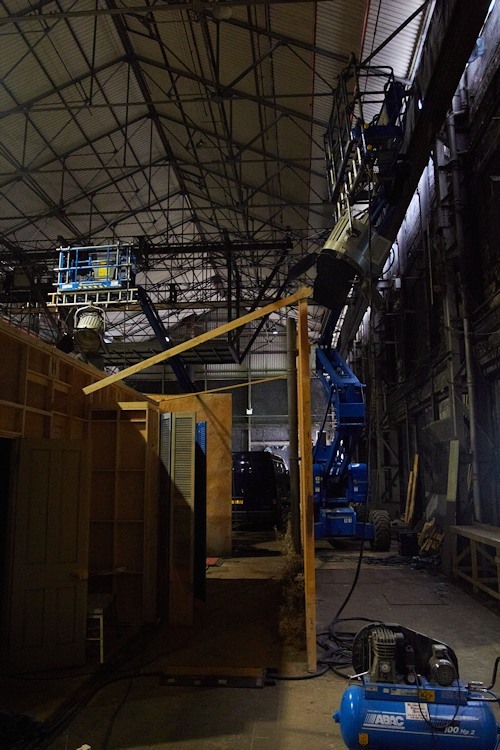 The Shed was one of the few suitable locations with adequate height for the pendulum to be suspended around 12 metres up. 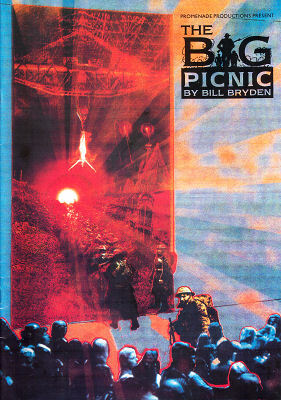 A horror film based around the story of an agoraphobic father and his battle with gangs of feral children. 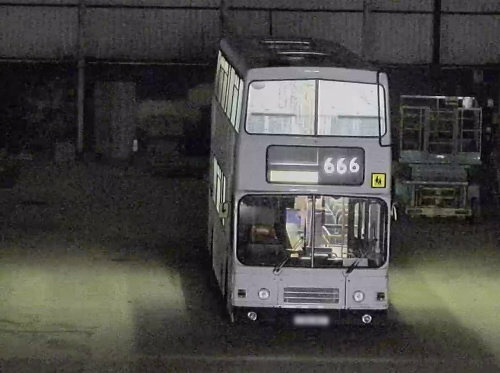 Night footage within a double decker bus was completed in The Shed, thanks to the height and area available to build a blackout tent right around the bus, and get the bus into the building thanks to the large vehicle access door. 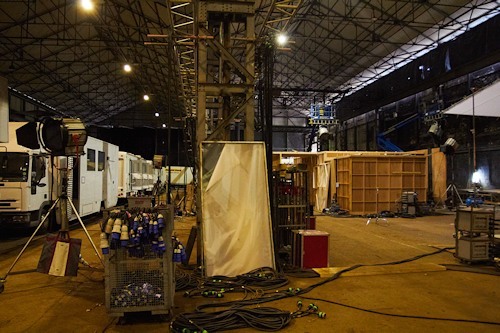 A film based around Vikings was partially filmed in The Shed. 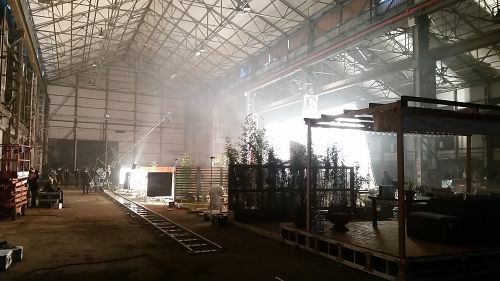 All of the footage filmed on the Viking longboat, when surrounded by fog, was filmed in The Shed. 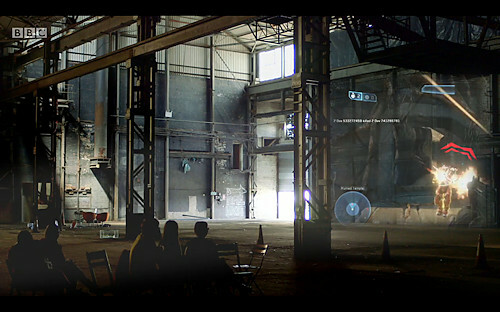 A couple of views of the footage can be seen within the trailer. 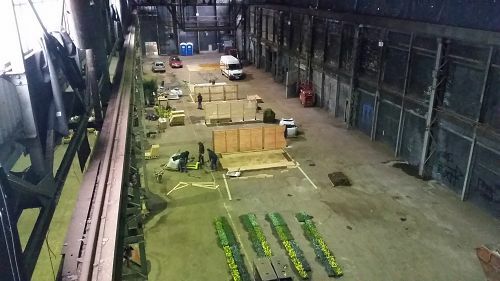 The following Set Report contains interviews and behind the scenes footage, much of which shows The Shed being used for filming. 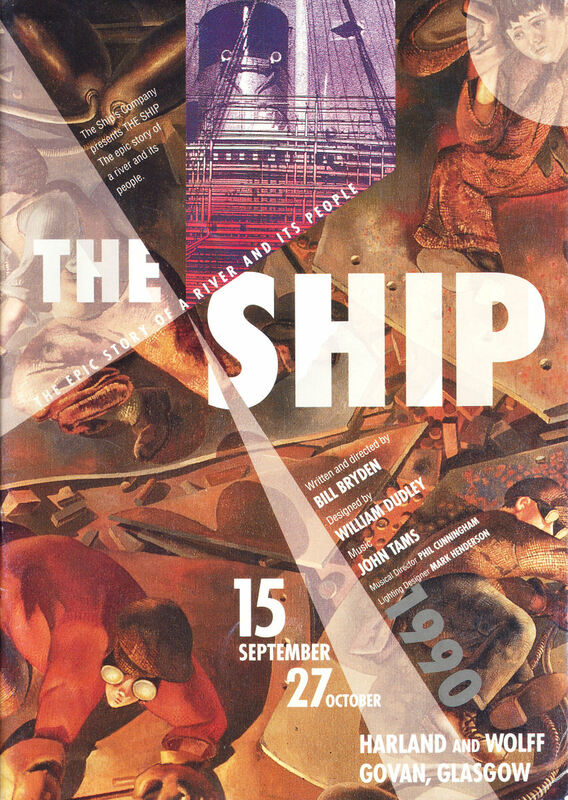 Local theatrical production by Fablevision, looking into the history of those who came from the Western Isles to work in the shipyards on the Clyde. 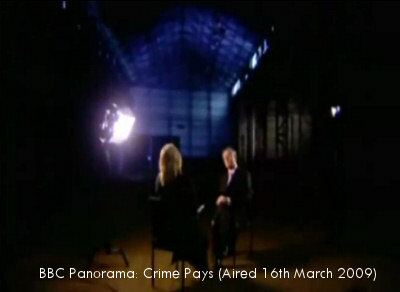 Panorama used The Shed for an interview with Graeme Pearson (Scottish Crime & Drug Enforcement Agency 2004-07). 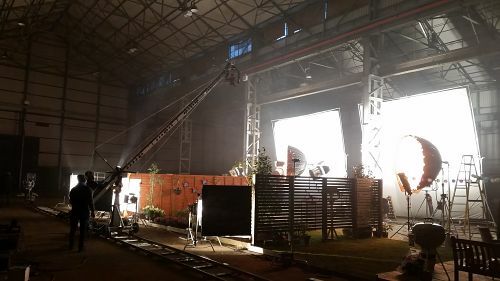 They used The Shed structure as a spectacular backdrop for the footage. 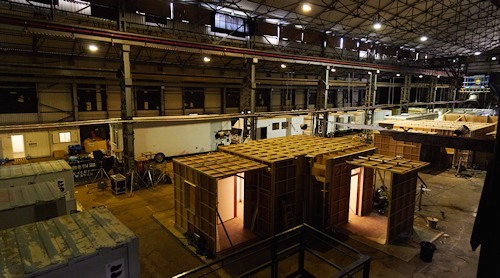 Mechanoids was filmed entirely within The Shed for BBC3. 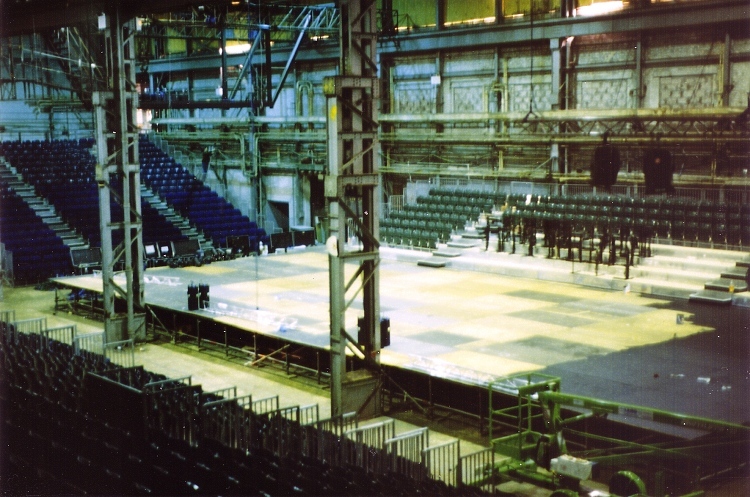 The Shed played host to a number of top level productions for Mayfest 1995, including the headlining dance event with Donnie Burns and Gaynor Fairweather, performances by Scottish Opera and the powerful and moving Britten War Requiem by the BBC Scottish Symphony Orchestra. The Shed during the build for the Mayfest 1995 events. 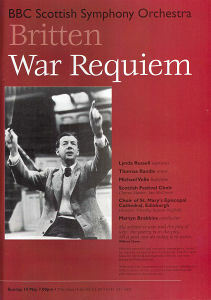 Large scale production based around the story of the Battle of the Somme during World War 1. The story of shipbuilding on the Clyde was brought to life within The Shed. 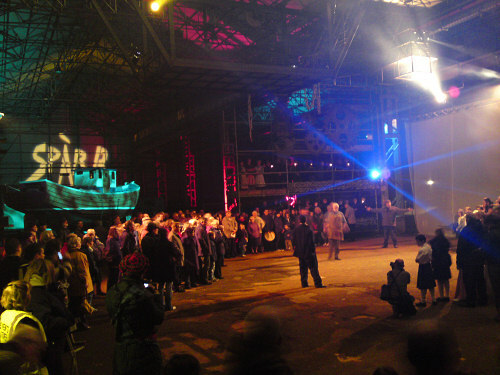 The history of the Shed as an engine shed for Harland & Wolff Shipbuilders created a wonderful venue for such an epic production.